Tommy McGibney enjoys a hike up Boleybrack (449m) in County Leitrim – the Range High Point of Dartry Mountains Southeast. Boleybrack, otherwise known as Lackagh Mountain, is situated in a remote area of the Dartry Mountains in mid-Co. Leitrim, sandwiched between Lough Allen to the south and Manorhamilton to the north. 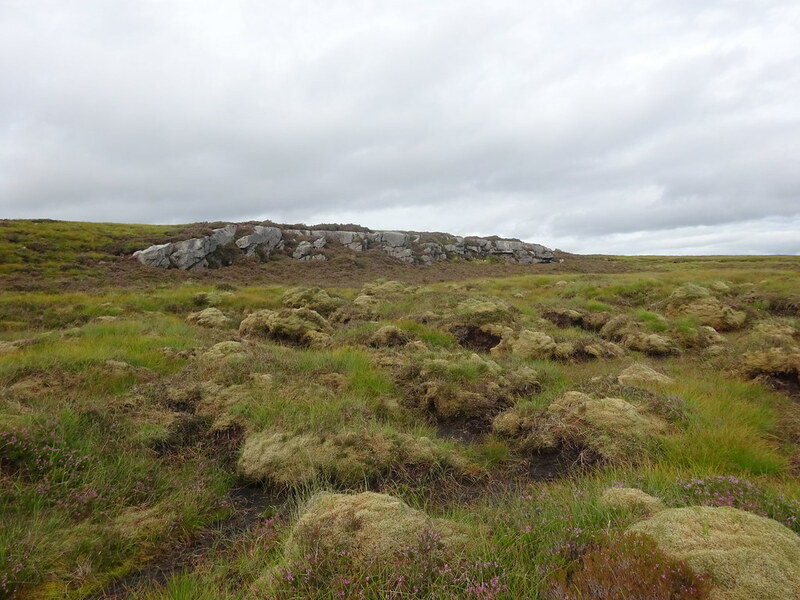 An enjoyable hike last summer up its western extremity, Naweeloge Top, south of Glenfarne, motivated me to visit the summit proper, north of Drumkeeran, a few weeks ago. Conditions were ideal with a warm bright afternoon and only a slight breeze. From the R280 turnoff, I drove several kilometres uphill, by a few isolated farmhouses and very little else until reaching a clearing, at which point a rougher lane pointed further uphill. I parked there and proceeded on foot up this lane a further 400m or so before encountering a very wet track onto the open moorland with drier banks on each side. 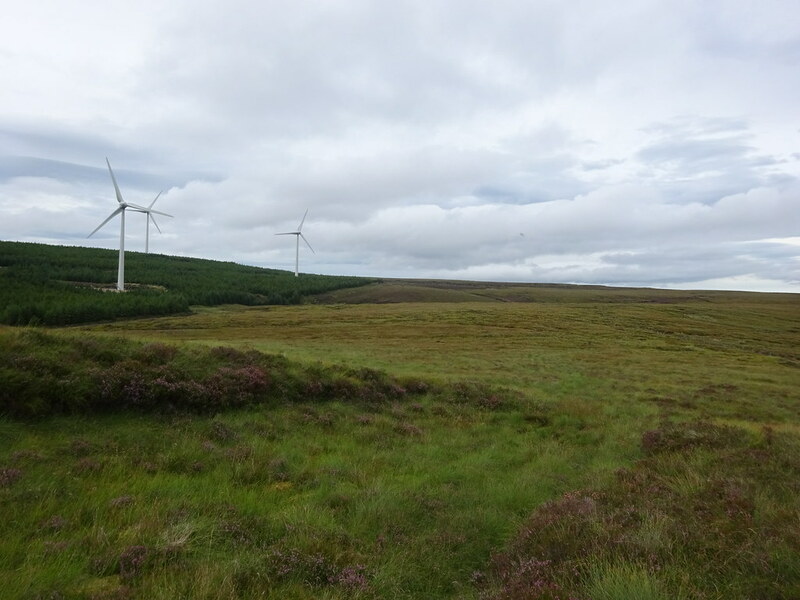 To my left was a conifer plantation pock-marked with a modern windfarm. 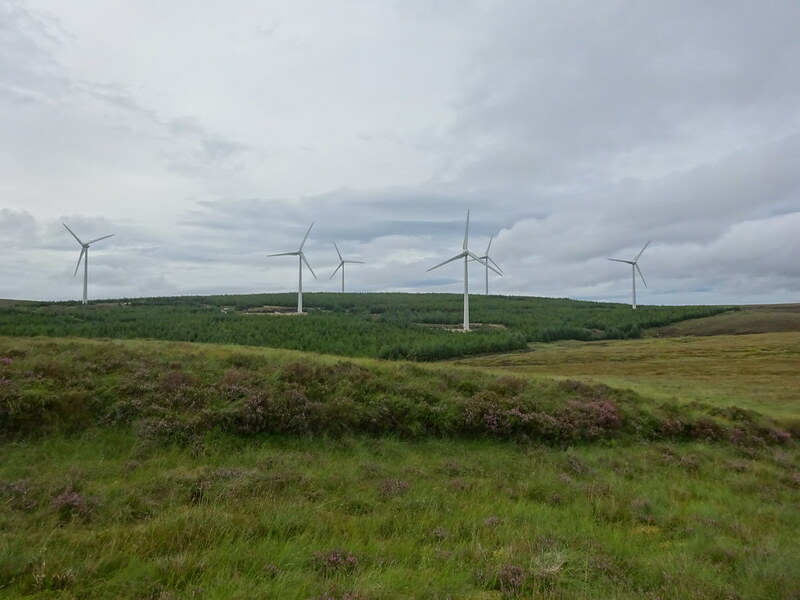 It occurred to me at this point that I might have been better off proceeding up the road to, and possibly through, the windfarm to approach nearer the summit. But how and ever, I was where I was, and the open moor in front of me looked inviting enough. From there, it was about a kilometre to a higher, rockier plateau upon which I would find the summit. 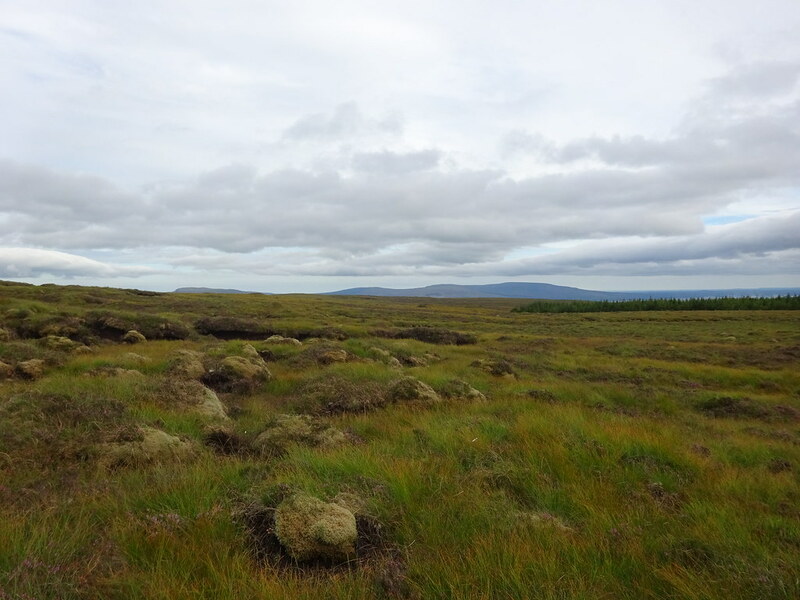 The going was generally good, although there were a few intermittent wet spots and I diverted eastwards at one point to avoid a large depression in the heathery ground. 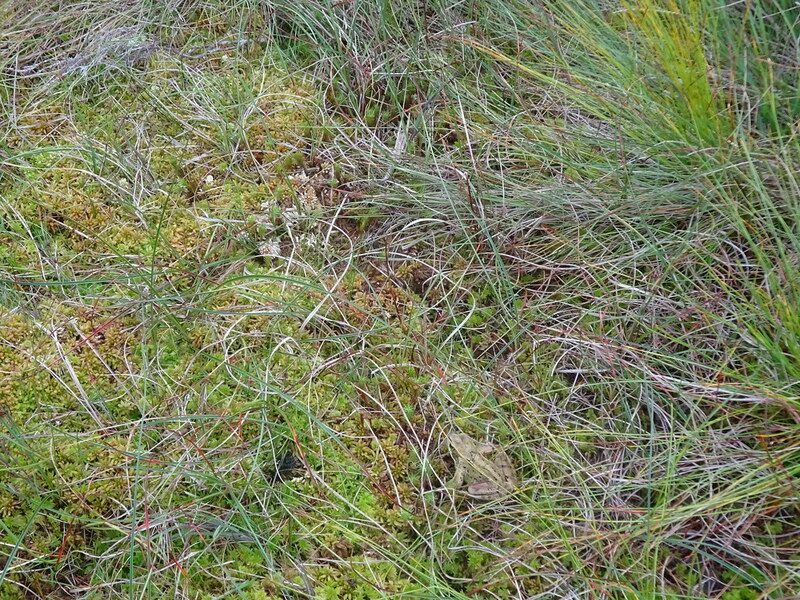 The area was clearly abundant with wildlife especially butterflies and well-camouflaged frogs, clearly enjoying the damp conditions. After a while, the promised rocky plateau came into view, and the ascent onto it was straightforward enough. 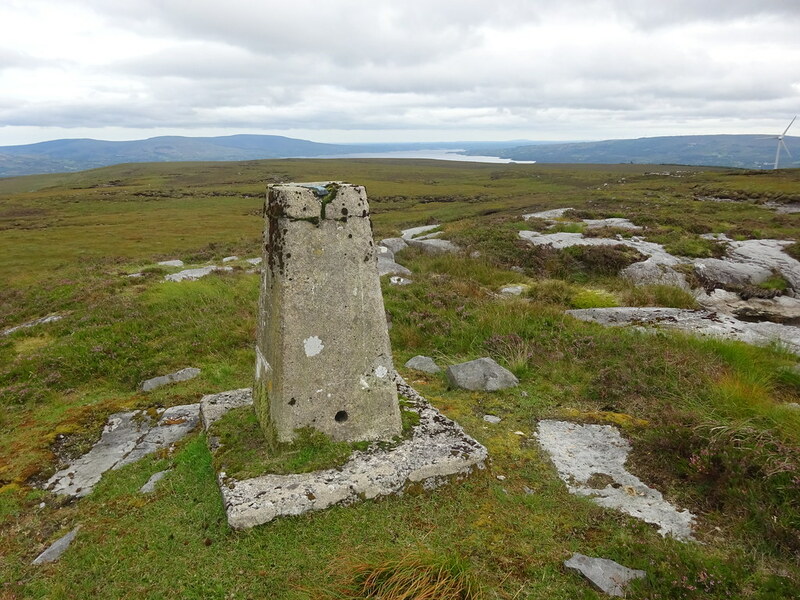 The summit trig point stood on a raised area overlooking two small lakes, with great views of Lough Allen and the Cuilcagh and Dartry ranges further distant. At the summit, I logged my position on the Peakhunter app while savouring the views. The descent was as straightforward as the ascent, as I roughly followed the line of the fence southward towards my starting point. As earlier, it took some deft footwork to avoid the worst of the wet spots, and I would imagine that some of these areas could be difficult to negotiate in a wetter season. Towards the end of the walk, I lingered a few times to enjoy some of the incredible crop of bilberries or fraughans that lay atop the heather, and also the great views towards Sligo Bay, with historic Knocknarea standing prominently. Overall, I found this an enjoyable and worthwhile walk and a great evening out. What will we all do when this summer ends?